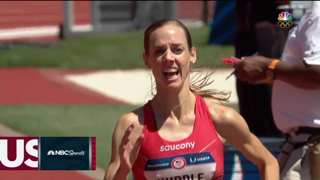 – Molly Huddle talking about her goals for Rio after leading wire-to-wire to win the women’s 10,000 at the 2016 US Olympic Track and Field Trials. Team Kate Murphy to Eugene!!! 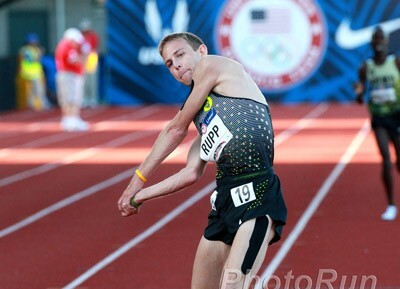 At what distance would Galen Rupp and Justin Gatlin be even? If Galen drops the Olympic Marathon, Is Luke Puskedra ready to run? Millennial Jenna Prandini goes home DEVASTATED! Sprints LRC Fire on the Track: Justin Gatlin (9.80), LaShawn Merritt (43.97) and Allyson Felix (49.68) All Crush World Leaders The women’s 100 was also historic as it saw three women break 10.80 for the first time in history. Trayvon Bromell tied his PB in taking second in the 100 (9.84) as Marvin Bracy (9.98) edged out Mike Rodgers (10.00) for the third spot. 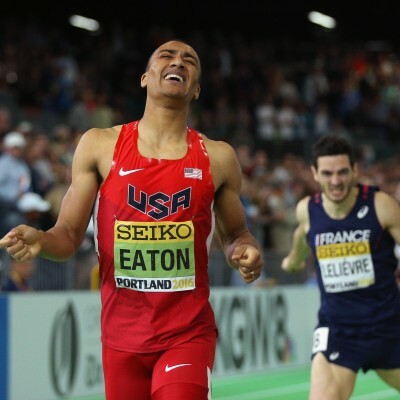 Field Events LRC Jeff Henderson Wins Historically Deep Long Jump; Age Defeats Youth In Women’s High Jump and The Ashton Eaton Show Continues The field event action didn’t disappoint on Sunday. We recap the women’s high jump, men’s long jump and decathlon which all concluded today. Looking Ahead to Monday: LRC Men’s Steeple Preview: Can Bowerman Track Club Go 1-2 Or Will Donn Cabral, Stanley Kebenei or Cory Leslie Crash the Party? 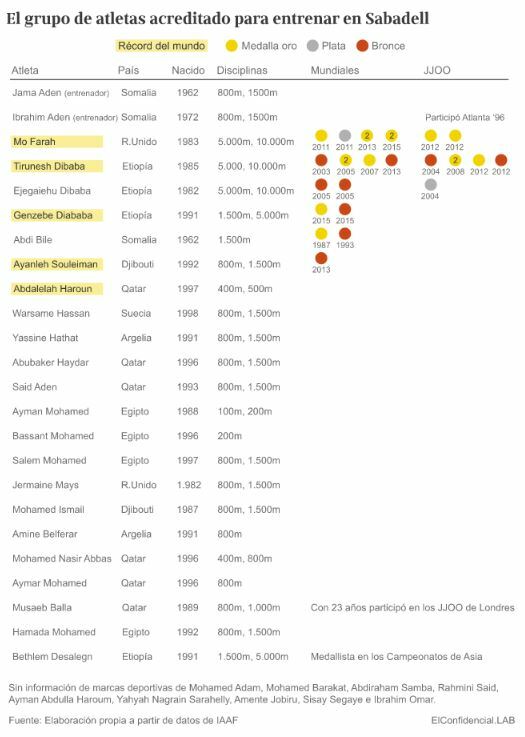 With 6 guys with qualifying times under 8:20 and 12 under 8:30, you’d better be on your game if you want to go Rio. LRC Women’s Steeple Preview: Emma Coburn Leads the Best U.S. Steeple Field Ever Barring an act of God, Coburn will be on the US team. The question is, who will be joining her on the plane to Rio? 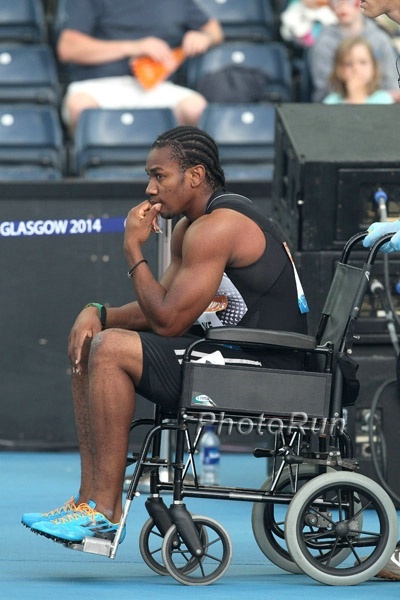 Day 2: LRC The Sprint Stars Speak: Gatlin Says He Bluffed It Vs. Bolt In 2013, Felix Will “Keep Fighting” And “This Is Not It” For Jeremy Wariner Justin Gatlin, Allyson Felix, LaShawn Merritt and Jeremy Wariner speak. LRC From Start To Finish: Molly Huddle Wins 2016 US Olympic Trials Women’s 10,000 (updated) Huddle was a much-deserved winner as she led every step. Emily Infeld and Marielle Hall grabbed spots #2 and #3. LRC Chaos Continues In Men’s 800 Semis – We’ll Have A 9-Person Final (updated) The men’s 800 continues to be totally unpredictable. LRC Women’s 800 Semis: The Top 5 Seeds All Advance To Set Up A Much-Anticipated Final (updated) There wasn’t a lot of drama today but there will be in the final. LRC Video Interviews From The Trials Allyson Felix vows to “just keep fighting,” Trayvon Bromwell talks about his Achilles injury, Brittney Reese discusses JJK and the longest jump in 12 years to win the LJ, Jeremy Wariner says he’s not retired, plus all the distance action. Tim Layden On Day 1 Of The Trials And The Impact Of Usain Bolt’s Injury It’s only a grade 1 strain. Yohan Blake Wins 100m In 9.95, Asafa Powell Was 4th Blake was incorrectly initially given a red card for a false start (the guy in the lane next to him did it). MB: Guess how much Kemoy Campbell won the Jamaican 5,000 by……..
LRC LetsRun.com Previews The Sprints And Hurdle Races At The 2016 US Olympic Track And Field Trials We give you the key points for each sprint race. LRC LetsRun.com Previews The Field Events At The 2016 US Olympic Track And Field Trials We break down the field event action. 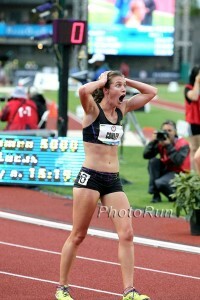 *LRC Women’s 10,000: Molly Huddle, Then Who? LRC Forget About The Predictions – Who Are You Rooting For At The Trials? Wejo’s Got Kate Grace And Jordan McNamara One of the best things about the Trials is pulling for that special athlete you have a connection to. Forget about who you think is going to win, who are you rooting for? The IAAF Will Rule On Russian Athletes Applying For Ban Exemption By The End Of The Week European Athletics has said they would accept a late entry for whistleblower Yulia Stepanova if she is cleared to compete. Russia’s Former Boston Marathon Champ Lidiya Grigoryeva Gets 2.5-Year Ban For Doping The IAAF also announced doping bans for Russian distance runners Alyona Kudashkina and Larisa Kleimenova and Morocco’s former African 1,500 medalist Amine Laalou. MB: USADA’s investigation of Nike Oregon Project is ongoing – USADA has filed a lawsuit seeking to depose uncooperative Dr. Brown The NY Times has all of the details. MB: Brazier and Murphy to NIKE Other college mid-d guys to recently go pro include Shaquille Walker and Brannon Kidder who joined Brooks Beasts Track Club. MB: K. Bekele, Ayana to run 10000’s in Hengelo June 29th Meseret Defar as well. MB: Do I need to change my summer training plan? Caitlyn Jenner Sports Illustrated Cover Hits Newsstands Wednesday Jenner will appear on the cover wearing her gold medal 40 years after her 1976 decathlon Olympic win. RIP Long Time Indiana University Coach Sam Bell During his time at IU, Bell lead the team to 22 Big Ten titles and 23 top-10 NCAA finishes. LRC Galen Rupp Knocks It Out Of The Park To Win Olympic Trials And His 8th Straight USATF 10,000m Title Galen Rupp won his 8th 10,000 title in a row as a slew of carnage was left behind him with athletes dropping out in the heat. LRC Six Minutes And Six Points With Alberto Salazar, Including “… the hotter it is the better.” Salazar was on hand to offer some interesting insight into Galen Rupp‘s latest US 10,000m title. Was Salazar nervous for Rupp? What double is he leaning towards for Rio? And when might Rupp retire? Find out here. LRC 2016 Olympic Trials Begin With Chaos – Donavan Brazier And Duane Solomon Bomb Out In 1st Round Of Men’s 800 Unbelievable. LRC An Emotional Sanya Richards-Ross Bids Farewell To The Sport Of Track And Field At Historic Hayward Field The 2012 Olympic champ was unable to hold back tears after her great career came to a premature end. *MB: Rupp Haters – How do you look at yourself in the mirror in the morning? *MB: Who else has won the OT at marathon and track in one year? 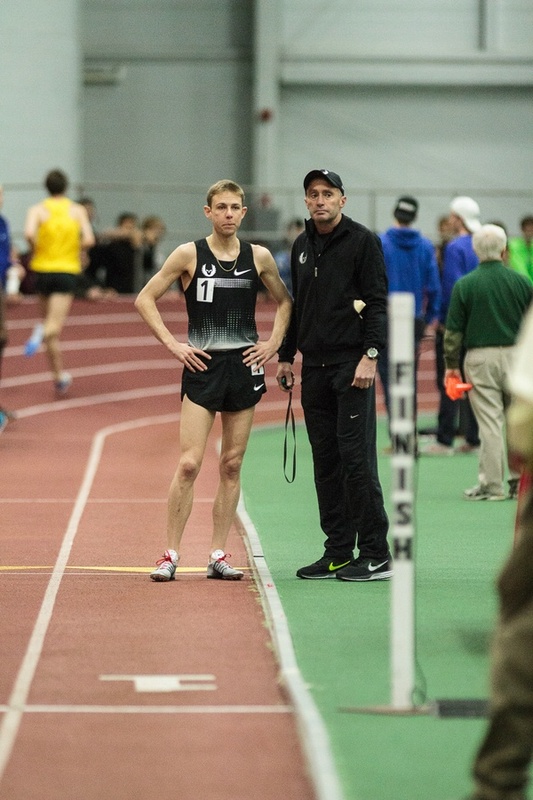 *MB: Galen Rupp is a beast that eats nails for breakfast…. Young Guns Take Over In Men’s Shot Put At Olympic Track & Field Trials Ryan Crouser upset Joe Kovacs as Darrell Hill took third. Ryan Crouser Wins Olympic Trials Shot Put With Lifetime Best In “The Biggest Competition Of My Life” He’s PRed in 2 straight meets. 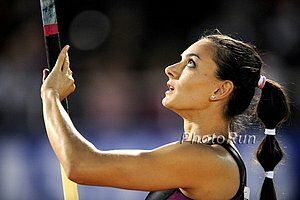 IAAF Suspends Russian Olympic HJ Champ Anna Chicherova She was caught in 2008 Olympic re-tests. This after she had also tested positive in London 2012 re-tests, but had her B sample come back negative. Chicherova won bronze in 2008 and then gold at 2011 Worlds and London 2012. Olivier Niggli Takes Over As New WADA Director General He replaces David Howman, who’s had the job since 2003. LRC 5 Takeaways From The 2016 Kenyan Trials Andy Arnold tells you he knows who is going to win Olympic gold in the men’s steeple, talks about David Rudisha‘s 3rd-place showing in the 800, and the shocking DNFs in the 10k by Karoki and Kamworor. Plus Margaret Wambui does her best impersonation of Caster Semenya. *MB: Geoffrey Kamworor a DNF? *MB: David Rudisha 1.43.34 WL in the semi finals! Russian Whistleblower Yulia Stepanova Cleared To Compete In Rio As A “Neutral Athlete” 80 other Russians have applied to the IAAF to compete in Rio and they will learn their fates by July 18th. Recommended Read: Sports Illustrated Cover Story By Tim Layden: “An American Hero” 40 Years After Gold, Caitlyn Jenner Comfortable In Her Own Skin” A great read with insights and stories from the 1976 Jenner who won decathlon gold as a man and the 2016 Jenner who promotes gender rights as a transgender woman. FloTrack Has Their Media Credentials For The Olympic Trials And Rio Revoked By The IOC Apparently they violated use rights by streaming parts of the marathon and wrestling Olympic Trials. 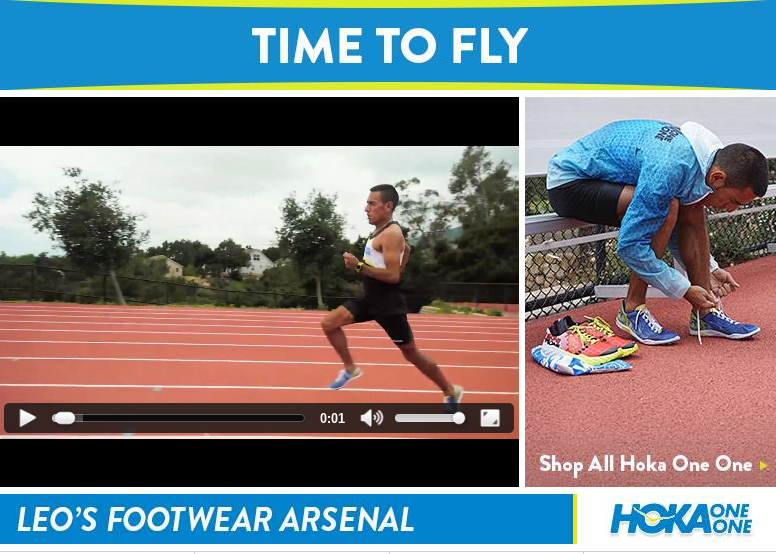 LRC$200,016 LRC Running Warehouse Trials Prediction Contest Is Here! The Olympic Trials are here. It's time to get down to business. 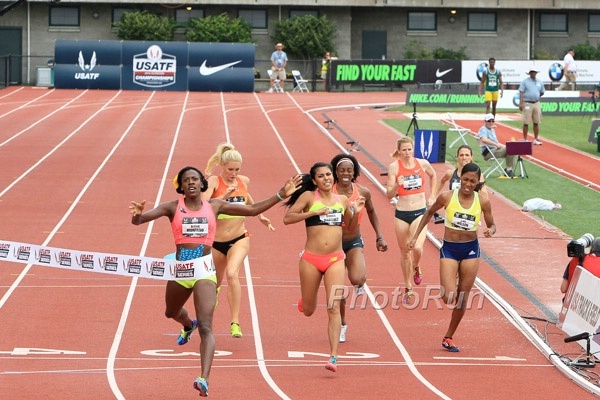 LRC US Olympic Trials Women’s 800: Prepare For Chaos In The Most Wide-Open Distance Event Of The Trials Ajee Wilson, Alysia Montano and Brenda Martinez have all starred on the international stage before. Will they make it to Rio? Not necessarily, as 12 Americans this year have run between 1:59.72 and 2:00.82. LRC US Olympic Trials Men’s 800: Old (Nick Symmonds/Duane Solomon) Vs. New (Boris Berian, Clayton Murphy, Donavan Brazier) Over Two Laps The 800 is full of lots of studly young talent in Boris Berian, Donavan Brazier and Clayton Murphy – average age 21. Will they arrive as Olympians or can the old studs like Duane Solomon and Nick Symmonds make one last stand? Previous: LRC US Olympic Trials Men’s 10,000 Preview *LRC US Olympic Trials Women’s 10,000 Preview: Molly Huddle, Then Who? Nick Symmonds Has Rule 40 Protest Planned For The Olympic Trials Symmonds has called for athletes to wear black tape on their shoulder in solidarity and will offer tape/stickers to fans as well. Triple NCAA Champ Jarrion Lawson Signs With Asics A source said it was the largest deal Asics has done for a male track athlete. Jere Longman NY Times: USADA Files Court Action Against Infamous Thyroid Doctor, Jeffrey S. Brown USADA wants to question Dr. Brown, an endocrinologist known for diagnosing hypothyroidism in track athletes, “as part of a continuing investigation” into NOP and Alberto Salazar. Around Ten Russian Athletes Apply To IAAF To Be Allowed To Compete In Rio They have not been named, but likely include whistleblower Yulia Stepanova and Florida-based LJer Darya Klishina. 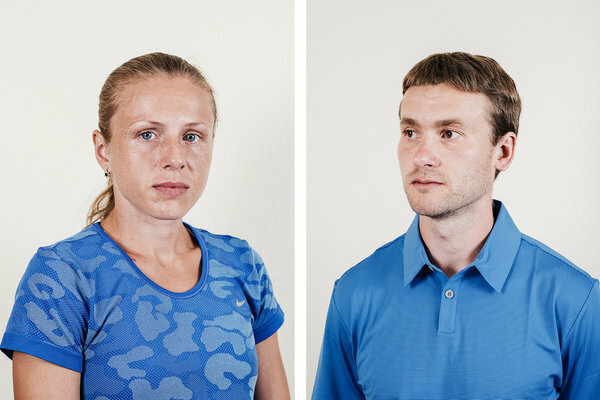 A Must Read: NY Times: “The Marriage That Led To The Russian Track Team’s Olympic Ban” A great article about how anti-doping officer Vitaly Stepanov and doping track star Yuliya Stepanova met, married, almost divorced, and then brought down Russian track and field. Russian Investigators Make Request To Question Former Moscow Lab Chief Grigory Rodchenkov To be clear, they are working a criminal case against Rodchenkov, not trying to fight Russian doping. LRC Nick Symmonds Scratches & May Have Run His Final Race, Danny Mackey Talks Beasts, English Gardner Talks About “Dodging” Zika & More (link fixed) All the news from the USATF & Brooks press conferences. We give your predictions for day 1 of the Trials from our prediction contest. Get your picks in by 7:15 pm Eastern. LRC Tirunesh Dibaba Loses A 10,000 For The First Time In Her Career – Almaz Ayana Is Now The Woman To Beat In Rio Dibaba had never lost a 10,000 in her life before tonight, having amassed a perfect 11-for-11 record. Ayana had never run a 10,000 before tonight but that inexperience didn’t stop Ayana from ending Dibaba’s win streak in dominant fashion. What does it mean for Molly Huddle? 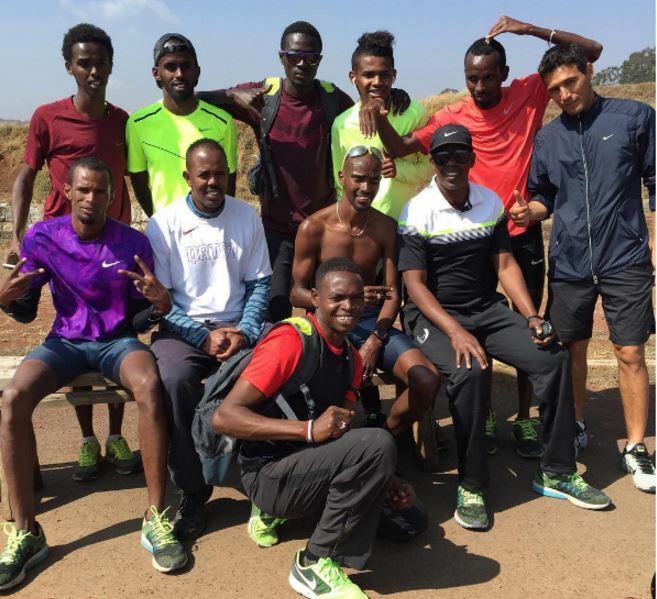 LRC Kenenisa Bekele’s 2016 Olympic Dreams Come To An End As The 2012 World Junior Champ Yigrem Wins Ethiopian 10,000 Trials Bekele wasn’t the only prominent DNF. Mo Farah slayer, Ibrahim Jeilan, also was a DNF. Barcelona Discussion Thread: Genzebe DIbaba Taken Off Track In A Wheelchair After 5K DNF Dibaba went through 3K in 8:41 (14:29 pace) before dropping out. In other action, Ayanleh Souleiman ran 1:45 and the latest Dibaba sister, Anna, ran 4:23. We give our take on some of the top stories of the last month. LRC An Oral History Of The 2012 Olympic Trials Women’s 5,000, Part III: The Aftermath The world saw the drama unfold on the track but how has the unforgettable race impacted the protagonists since then? 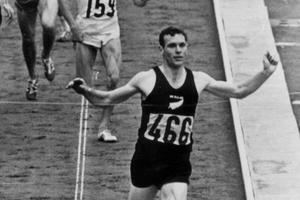 Peter Snell’s Auctioned-Off Olympic Singlet Likely A Fake A New Zealand museum was going to pay $140,000 for it, but after examining it said it wasn’t the real deal. Despite Missing Rio With Hamstring Tear, Sally Pearson Says Her Best Is Yet To Come The 29-year-old 2012 Olympic champ didn’t rule out being at the 2020 Games. Recommended Read: Sub-4 Miler Liam Boylan-Pett Profiles Legendary Coach Frank “Gags” Gagliano, Who At 79 Says This Is His Final Olympic Trials As A Coach A great read about Gags the coach and person, with humorous stories and insights from many including Boylan-Pett, Kyle Merber and Vin Lananna. Ato Boldon’s 3 Must-See Races At Olympic Trials They are all sprints and he thinks a WR could go down in one of them. 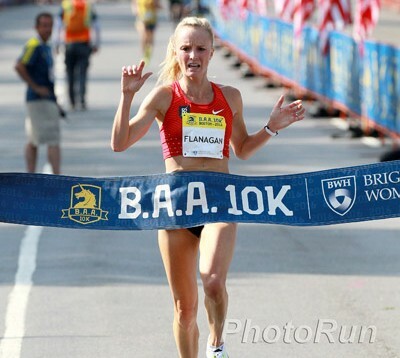 Flanagan is on fire, and so is training partner Amy Cragg, who set another PR, and Dathan Ritzenhein returned with a good run. *MB: Ritz 3rd in baa 10k in 28:12 … should he have done the Trials? *MB: Shalane too fit too early?